Police warn the public about an "emerging" and relatively sophisticated phone fraud scheme which has already cost at least five victims in Toronto more than $5 million, and which might already be targeting people elsewhere in Canada. Police on Friday warned the public about an "emerging" and relatively sophisticated phone fraud scheme which has already cost at least five victims in Toronto more than $5 million, and which might already be targeting people elsewhere in Canada. 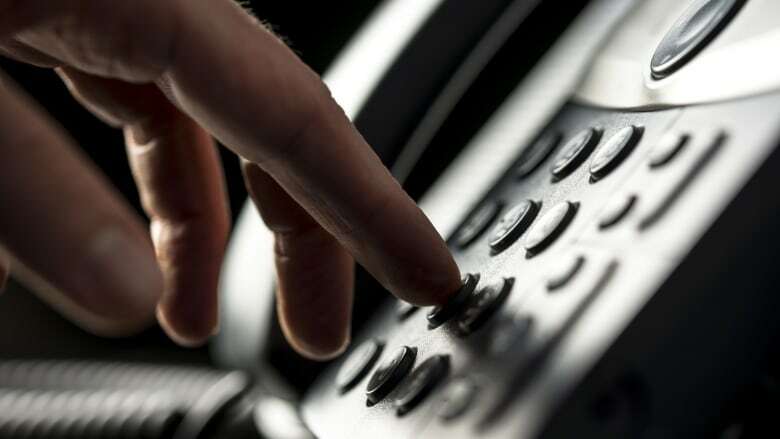 The scam starts with a phone call to a would-be victim's landline. The caller purports to be a retailer — in these instances, a jeweller, though police warned that could vary — contacting the victim to report that their credit card is being used for a fraudulent purchase. The caller asks the victim to contact 911, or, in some cases, their financial institution, to alert them to the attempted fraud. Now comes the crux of the scam. The victim believes the caller has hung up. In reality, however, the caller has remained on the line. The victim dials and believes they've reached 911 or their bank, when, in fact, they're still on the line with another scammer posing as a police or bank investigator. Victims are then urged to transfer money into a specific, separate bank account to protect it during the "investigation." "That's the generic scheme but there are variations," said Det.-Sgt. Ian Nichol, with Toronto Police Service's financial crimes unit. Jessica Gunson of the Canadian Anti-Fraud Centre says when a victim dials their bank, they may not notice the fake system they reach is "missing… the normal prompts you would receive when calling your financial institution. "Even just the language prompts, like press one for English or two for French," said Gunson. "The consumer doing what they would normally do, tells them what the problem is and then of course they are asked for their personal information." Potential victims are asked security questions like a mother's maiden name, date of birth and the credit card number including the three-digit security code found at the back of credit cards, said Gunson. While it varies from provider to provider, there's often a lag time between hanging up and when a call is truly disconnected. According to Nichol, it can range from between 13 and 25 seconds. It is this lag that allows fraudsters to remain on the line while a victim makes a quick, panicked call to try to save their money. Nichol said some victims reported hearing a dial tone, which contributed to their belief that the call they were making was legitimate. A key part of the pitch is convincing victims that secrecy is paramount to a successful investigation, Nichol said. In some cases, the scammers have communicated with victims over a course of several days and multiple calls. They use a technique known as "call spoofing" to obscure their identity; easily acquired technology that makes calls from the perpetrators appear to be from reputable sources on the victim's call display. According to Nichol, the victims span demographics and there's no evidence to suggest they were specifically targeted. Some said they believed the fraudsters already had some of their personal information before making contact, though Nichol said he cannot be sure that's the case. "The victims, I would add — they're all on the ball. They're not people that you would consider to be otherwise vulnerable to this sort of thing," Nichol told reporters at a news conference at Toronto police headquarters. "Obviously, they are pretty good pitchmen in terms of convincing the victims… The details of the conversations are all definitely similar." Nichol said the structure of the scam is "fairly new" to investigators, and that the amount of money already stolen from victims is "very high" for a "mass-marketing type fraud." Unfortunately for victims, the prospect of recovery of their lost money is "usually not realistic in these kinds of investigations." Similar schemes have been uncovered in the U.K. in the past. Nichol said there is an "international component" to this particular scam but declined to provide any further details on that front. While the victims that have come forth thus far are all from Toronto, there's evidence that hundreds of thousands of calls have been made to residents across Canada. 911 dispatchers will not forward you to an investigator. If you're concerned about your funds, go to your bank in person to make inquiries. Financial institutions will never ask you to transfer money to external accounts for security purposes. Take reasonable steps to confirm the identities of people who call, claiming to be police or representatives from a bank. Do not assume phone numbers appearing on call display screens are accurate. Anyone who believes they may have fallen victim to this fraud scheme is asked to contact Toronto police.